This is a really good metaphor used by Gary Craig to explain how we need to work on specific events to collapse globally stated issues. 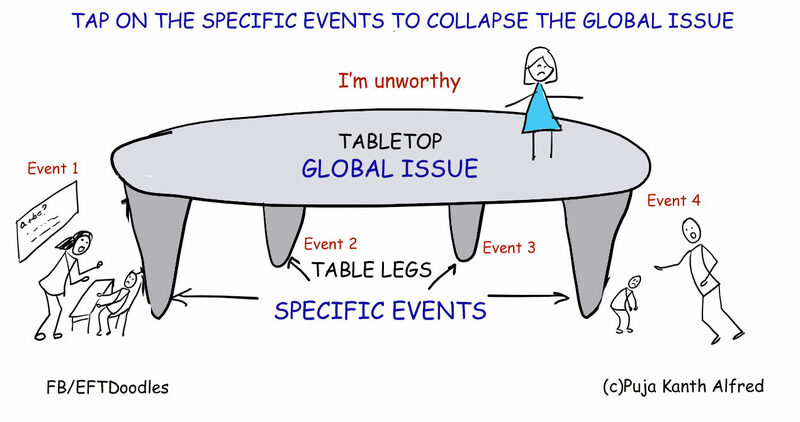 The tabletop is the global issue and the legs are the specific events that support the global issue. I am unworthy of love and happiness. This world is a dangerous place. My co-workers always belittle me. My partner is emotionally unavailable. These are global beliefs or feelings that you need to work on. Since these issues are global in nature, just tapping on these will only bring partial or no relief. On the other hand, if you find the legs that support the table top, the specific events, then the table top will crumble. Start with events from your childhood and then work your way up to the events in adulthood. It’s good to start with the lesser intensity ones, if you are working by yourself or even with a practitioner, to avoid getting too overwhelmed. Once you’ve successfully worked on 2-3 of these smaller ones, go to the big ones. Once you’ve worked on the bigger intensity events, then the remaining smaller ones will also collapse. My teacher slapped me in the 2nd std/grade. 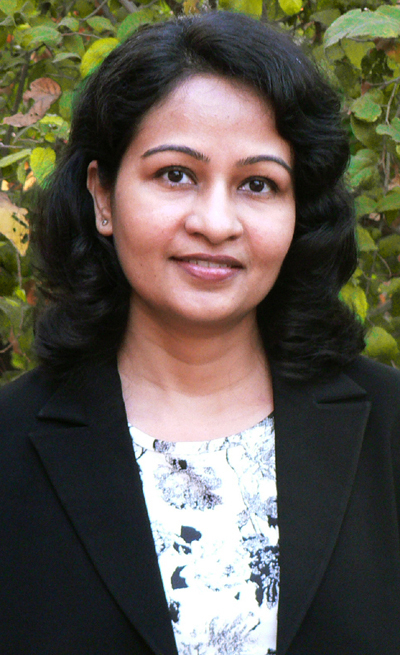 I was bullied in the school when I was in the 5th std/grade. I was compared to my sister and told that I weighed more than her. My nanny abused me when my parents had gone to my Aunt’s house. I hurt my knees when I fell down riding my bicycle. To understand the EFT concepts, you can purchase the EFT concepts illustrated Ebook where all the concepts are depicted in pictures.